This Agreement is between you (“You”) IPM Group Pte Ltd, a company incorporated in Singapore (201428070N), whose registered office is 30, Cecil Street, #19-08 Prudential Tower, Singapore 049705, and Indigo Precious Metals Group Sdn Bhd a company incorporated in Malaysia (1118836-H) whose registered office is Suite 0525, Level 5, Wisma SP Setia, Jalan Indah 15, Bukit Indah, 79100 Nusajaya, Johor, Malaysia, collectively referred to herein as (“IPM Group”, “Company,” “we,” “us”), concerning your use of the website owned and controlled by us from which you are accessing this Agreement (together with any successor site(s), and all Site Services and Site Content, the “Site”) and shall apply to all purchases of goods ("Goods") sold by IPM Group through this Site. Acceptance of Terms: By using the Site, you agree to the terms and conditions of this Agreement and to any additional rules and guidelines that we post on the Site. Any policy or materials specifically referred to in this Agreement are incorporated into the Agreement by reference. We may make changes to this Agreement from time to time; we may notify you of such changes by any reasonable means, including by posting the revised version of this Agreement on the Site. This Agreement does not affect any mandatory and/or statutory rights that You have as a consumer under applicable law. Contents : The content of the pages of this website are for your general information and use only Neither we nor any third parties provide any warranty or guarantee as to the accuracy, timeliness, performance, completeness or suitability of the information and materials found or offered on this website for any particular purpose. You acknowledge that such information and materials may contain inaccuracies or errors and we expressly exclude liability for any such inaccuracies or errors to the fullest extent permitted by law. Copyright : The content, organization, graphics, design, audio, animation, video, compilation, digital conversion and other matters related to the Site are protected under applicable copyrights, trademarks and other proprietary (including but not limited to intellectual property) rights. The copying, redistribution, use or publication by you of any such matters or any part of the Site is strictly prohibited. You do not acquire ownership rights to any content, document or other materials viewed through the Site. The posting of information or materials on the Site does not constitute a waiver of any right in such information and materials. Indemnification : You agree to indemnify, defend and hold us and our partners, attorneys, staff and affiliates harmless from any liability, loss, claim and expense, including reasonable attorney’s fees, related to your violation of this Agreement or use of the Site. Links to Other Websites : From time to time, this website may also include links to other websites. These links are provided for your convenience to provide further information. We are not responsible for the content, accuracy or opinions express in such websites, and such websites are not investigated, monitored or checked for accuracy or completeness by us. Inclusion of any linked website on our Site does not imply approval or endorsement of the linked website by us. If you decide to leave our Site and access these websites, you do so at your own risk. Order and Acceptance : We make available "Goods" for purchase through the Site, (each such purchase, a "Transaction"), and we may use third-party suppliers and service providers to enable e-commerce functionality on our Site. A Goods order submitted by You constitutes Your offer to IPM Group to purchase the Goods pursuant to this Agreement and is subject to acceptance by Us. Any prices or Goods referred to on the Site are subject to availability and do not constitute an offer by IPM Group. After you place an order, IPM Group may send you a communication confirming receipt of Your order and containing the details of Your order. You agree and understand that any such communication confirming receipt of Your order does not constitute acceptance of Your order by IPM Group. IPM Group's acceptance of Your order becomes effective when IPM Group dispatches the Goods ordered by You and accepts Your payment for the Transaction. Price and Payment Terms : (a) Prices payable for Goods are those in effect at the time of Product dispatch, unless expressly agreed otherwise. All descriptions, images, references, specifications, Goods and prices of Goods described or depicted on this Site, are subject to change at any time without notice. IPM Group reserves the right, with or without prior notice, to limit the available quantity of or discontinue any Product; to honour, or impose conditions on the honouring of, any coupon, coupon code, promotional code or other similar promotions; to bar any user from making any or all purchase(s) of any Goods made available by us through the Site; and/or to refuse to provide any user with any Product. (b) Quotation & Prices: The company (IPM Group) shall be entitled to withdraw any quotation at any time prior to the company's acceptance of an order, or at any time if there has been an obvious pricing error or technical malfunction, even if the order has already been confirmed by email. Unless otherwise stated in the quotation, every quotation shall lapse unless accepted. (c) You agree to pay all charges that may be incurred by You or on your behalf through the Site, at the price(s) in effect when such charges are incurred, including without limitation all shipping and handling charges. In addition, you remain responsible for any taxes that may be applicable to your Transactions. IPM Group reserves the right to withdraw any discount and/or to revise any Product price on the Site at any time prior to acceptance of Your order. The final Product price will be reflected prior to your confirmation of Your order. (d) Payment may only be made using any of the payment options specified on the Site. 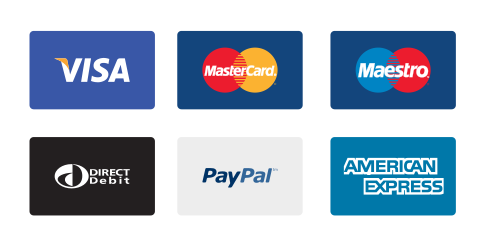 If You wish to purchase any Goods made available by us through the Site, You may be asked to supply certain information relevant to your Transaction, including without limitation your credit card or debit card number, the expiration date of your credit or debit card, your billing address, and your shipping information. YOU REPRESENT AND WARRANT THAT YOU HAVE THE LEGAL RIGHT TO USE ANY CREDIT OR DEBIT CARD(S) UTILISED IN CONNECTION WITH ANY TRANSACTION. By submitting such information, You grant to IPM Group the right to provide such information to third parties for purposes of facilitating the completion of Transactions initiated by You or on your behalf. Verification of information may be required prior to the acknowledgment or completion of any Transaction. (e) For invoiced payments, each invoice will be due on and payable within the time period noted on Your invoice, commencing from the date of the invoice. If at any time you fail to pay any amount due on the relevant due date, IPM Group may by notice declare all invoiced amounts unpaid at that date to be immediately due and payable. Delivery and Risk of Loss : (a) Delivery times and dates referenced on the Site or in any order communications from IPM Group are estimates only, and IPM Group is not liable in the event of a delivery delay. Reporting Regime for Precious Metals Dealers : In Singapore, The Corruption, Drug Trafficking and Other Serious Crimes (Confiscation of Benefits) Act CAP 65A requires all dealers of precious metals to report transactions that exceeds a specific threshold amount, is suspicious in nature or if there are reasonable grounds the proceeds are generated from an unlawful activity, to the Suspicious Transaction Reporting Office without alerting the Customer on the matter. In Malaysia : the Anti-Money Laundering and Anti-Terrorism Financing Act 2001 (Invocation of Part IV) Order 17th April 2008 for dealers in precious metal and precious stones Section 13, paragraph 14(b), subsection 16(2) and section 24 of the Act effective as of 1st July, 2008, requires all dealers of precious metals to report transactions that exceeds a specific threshold amount, is suspicious in nature or if there are reasonable grounds the proceeds are generated from an unlawful activity, to the Financial Intelligence Unit in Bank Negara Malaysia without alerting the Customer on the matter. Collection of Data and Privacy : In accordance with the Corruption, Drug Trafficking and Other Serious Crimes (Confiscation of Benefits) Act, we are required to record the details of each Transaction, including the identity and contact information of the customer, and to maintain the supporting documents including the nature of business, and intended nature of the Transaction. This information shall be stored for a period of at least 5 years from the date of Transaction. By Acceptance of this Agreement, You hereby agree to the collection and storage of Your personal data. All data supplied to us is for administrative and regulatory purposes only and will be kept private and confidential. We will not provide any external party with any of your personal data unless required by law. Disclaimer and Limitation of Liability : INFORMATION FROM OR THROUGH THE SITE IS PROVIDED “AS-IS”, “AS AVAILABLE” AND ALL WARRANTIES, EXPRESS OR IMPLIED, ARE DISCLAIMED. WE HAVE NO LIABILITY WHATSOEVER FOR YOUR USE OF OR INABILITY TO USE OUR SITE OR USE OF ANY INFORMATION PROVIDED IN THE SITE. IN PARTICULAR, BUT NOT AS A LIMITATION THEREOF, WE ARE NOT LIABLE FOR ANY INDIRECT, SPECIAL, INCIDENTAL OR CONSEQUENTIAL DAMAGES (INCLUDING DAMAGES FOR LOSS OF BUSINESS, LOSS OF PROFITS, ECONMIC LOSS, LITIGATION, OR THE LIKE), WHETHER BASED ON BREACH OF CONTRACT, BREACH OF WARRANTY, TORT (INCLUDING NEGLIGENCE) OR OTHERWISE, EVEN IF ADVISED OF THE POSSIBILITY OF SUCH DAMAGES. THE NEGATION OF DAMAGES SET FORTH ABOVE ARE FUNDAMENTAL ELEMENTS OF THE BASIS OF THE BARGAIN BETWEEN US AND YOU. THIS SITE AND THE INFORMATION WOULD NOT BE PROVIDED WITHOUT SUCH LIMITATIONS. NO ADVICE OR INFORMATION, WHETHER ORAL OR WRITTEN, OBTAINED BY YOU FROM US THROUGH THE SITE SHALL CREATE ANY WARRANTY, REPRESENTATION OR GUARANTEE NOT EXPRESSLY STATED IN THIS AGREEMENT. Warranty : IPM Group hereby warrants that all Goods are of a 100% metal purity of the goods described on the website, and available for purchase. Force Majeure : IPM Group shall not be responsible for any failure to perform due to unforeseen circumstances or to causes beyond IPM Group's reasonable control, including but not limited to acts of God, war, riot, embargoes, and acts of civil or military authorities, fire, floods, accidents, strikes, lockouts, or shortages of transportation, facilities, fuel, energy, labor or materials. In the event of any such delay, IPM Group may be excused from such performance to the extent it is delayed or prevented by such cause. Ability to Enter Into This Agreement : BY USING THE SITE, YOU REPRESENT AND WARRANT THAT YOU ARE EITHER: (A) OF LEGAL AGE TO ENTER INTO THIS AGREEMENT AND YOU AGREE TO BE BOUND BY THE TERMS AND CONDITIONS OF THIS AGREEMENT; OR (B) THE PARENT OR LEGAL GUARDIAN OF A CHILD UNDER THE LEGAL AGE TO ENTER INTO THIS AGREEMENT AND YOU AGREE TO BE BOUND BY THIS AGREEMENT ON BEHALF OF YOUR CHILD. If you are the parent or legal guardian of a child under the legal age to enter into this Agreement, then, as used in this Agreement, “you,” “yourself,” and “your,” means and refers to you on behalf of yourself and your child who is the user of the Site. Governing Law : This Agreement shall be governed by and construed in accordance with the laws of Singapore, or alternatively, in the event that you enter into a Transaction using the official currency of Malaysia (Malaysian Ringgit), this Agreement shall be governed by and construed in accordance with the laws of Malaysia. Notwithstanding the foregoing, nothing in the Terms will derogate from any rights You may have under existing consumer protection legislation or other applicable laws in Your jurisdiction. Miscellaneous : This Agreement does not, and shall not be construed to create any partnership, joint venture, employer-employee, agency or franchisor-franchisee relationship between You and IPM Group. If any provision of this Agreement is found to be unlawful, void or for any reason unenforceable, that provision will be deemed severable from this Agreement and will not affect the validity and enforceability of any remaining provision. You may not assign, transfer or sublicense any or all of your rights or obligations under this Agreement without our express prior written consent. We may assign, transfer or sublicense any or all of our rights or obligations under this Agreement without restriction. No waiver by either party of any breach or default hereunder will be deemed to be a waiver of any preceding or subsequent breach or default. Any heading, caption or section title contained herein is inserted only as a matter of convenience, and in no way defines or explains any section or provision hereof. Notices to you may be made via posting to the Site, by e-mail, or by regular mail, in our discretion. The Site may also provide notices of changes to this Agreement or other matters by displaying such notices or by providing links to such notices. Without limitation, You agree that a printed version of this Agreement and of any notice given in electronic form shall be admissible in judicial or administrative proceedings based upon or relating to this Agreement to the same extent and subject to the same conditions as other business documents and records originally generated and maintained in printed form. We will not be responsible for failures to fulfill any obligations due to causes beyond our control.